MATcutter.com has tape in-stock for attaching art work and attaching mats. Clear tape for attaching prints to backing or mat. 1 roll(1" x 180') Archival grade adhesive. Manufactuers says tape can be removed with minimal heat. Traditional tape used for hinging light artwork. Acidfree, ligninfree, buffered paper with fast setting neutral pH adhesive. Water reversible. 1" x 130'. White tape for attaching prints to backing or mat. 1 roll(1" x 180') Archival grade adhesive. Manufacturer says that tape can be removed with minimal heat. What is FRAMER'S TAPE used for. It can be used for attaching prints and for hinging back and mat. It is our best selling tape. What is LINEN TAPE for? Linen tape is the traditional tape for conservation framers. It is a very strong tape that is excellent for hinging backs to mats. Linen can also be used for hinging large prints to backs or mats. Should I get GUMMED OR SELF-ADHESIVE Linen Tape? It really is a matter of choice. Gummed tape, again, is the traditional choice of conservators because it can be removed by moistening the tape. On the other hand, Self-Adhesive tape is harder to remove. However, Self-Adhesive linen tape is much more convenient. 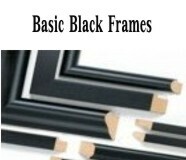 Can FRAMER'S TAPE be removed? Yes. It is designed to be removed by applying a minimal amount of heat.